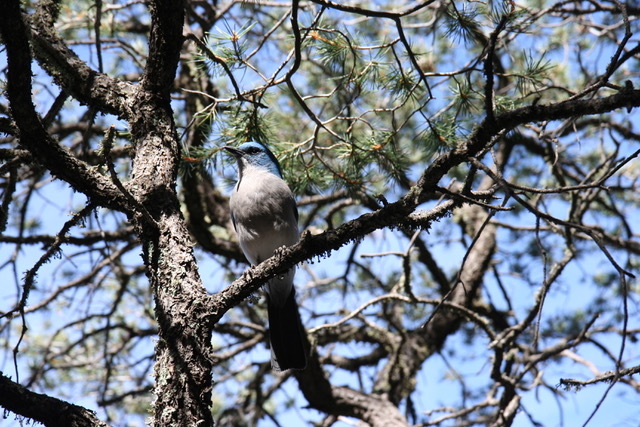 We took a trip to do some hiking in Big Bend National Park. On our way there, we stopped at Seminole Canyon State Park for a couple of days and took a hike there to break up the drive. 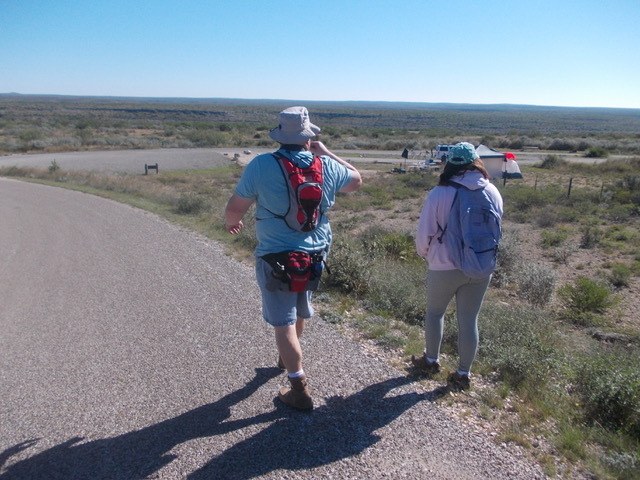 We did a big loop starting with the Canyon Rim trail which is 3.75 miles one way and then picked up the Rio Grande trail for the way back to camp for an additional three miles. 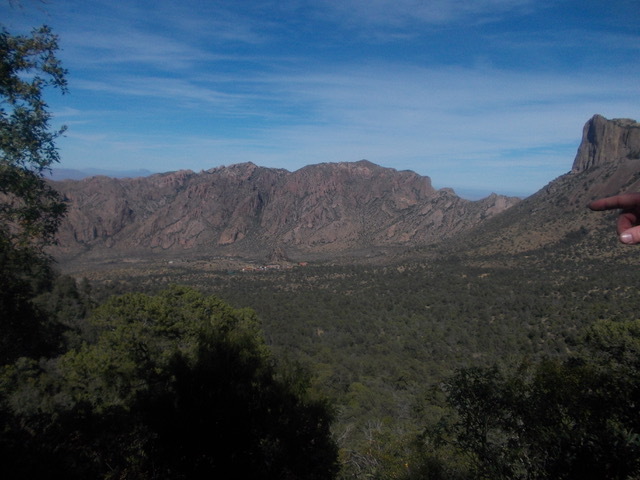 We also took the Outcropping Trail on the Presa Trail for some great views. Only hiking about eight miles total, I think we were still in good shape for Big Bend. Well, two of us were. Emily and I had remembered our hiking shoes but Grace forgot. Not wanting to miss out, she walked in her Converse sneakers much to her feet’s complaint! But she still made the entire hike! 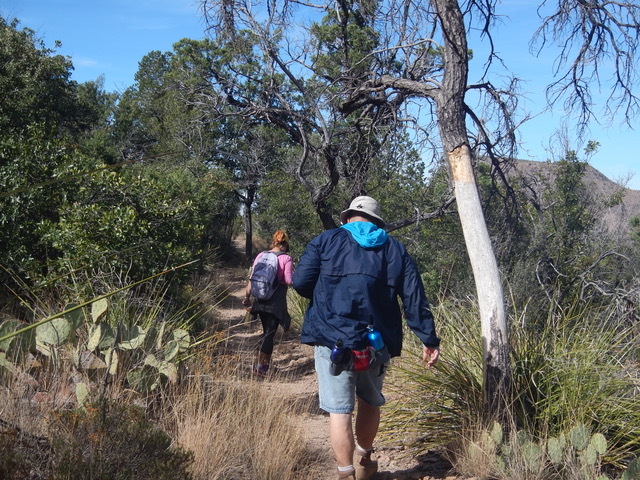 Click here for the trail map PDF for Seminole Canyon State Park. Entering Big Bend National Park was striking with it’s stark beauty. 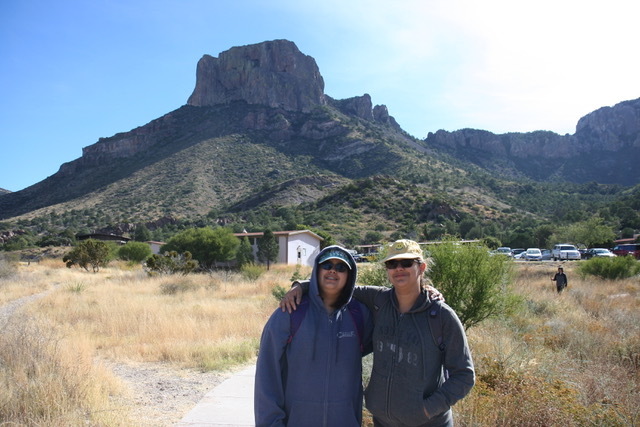 Upon visiting the rangers station at Panther Junction, we saw the Chisos Mountains and knew we must head up there! No hiking the first day; just taking in our new surroundings. To some degree, there are little hints of other national parks here and there as if there were a bunch of too beautiful and unique parts of other parks that were to be tossed away. So they threw them all into Big Bend. Funny how this place has all these unique land masses looking at home next to each other. It is really amazing! 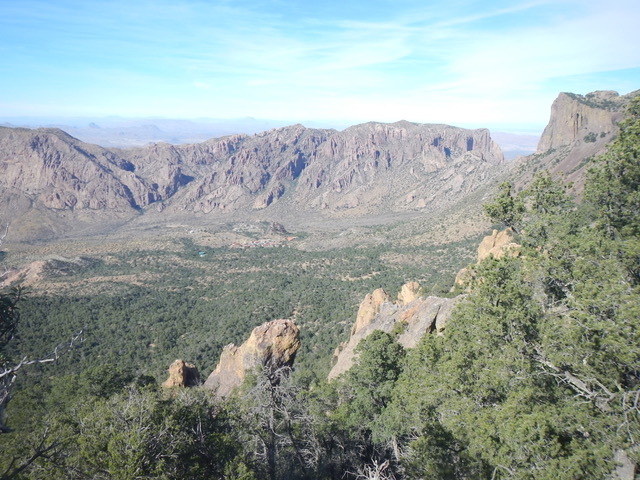 For our big hike, we wanted to hike from the southern rim of the Chisos Mountains to the Chisos Basin Visitor Center. The starting point is only accessible by a 4x4. Although some of the road was certainly passable with just a knowledgeable driver, some of the road was going to end a standard car. Take my heed, this is not a place to get stranded even in the winter. There is little if any cell coverage and it’s not like hundreds of cars drive by an hour. I only saw three in the many hours I was out there to scout the starting point and only one passed near enough to me to help if I needed it. Anyway, we wanted to start there and hike to the ranger station on the other side of the mountains. Unfortunately, we had not been hiking in a while and the parents were a little uneasy with so poor cell reception. 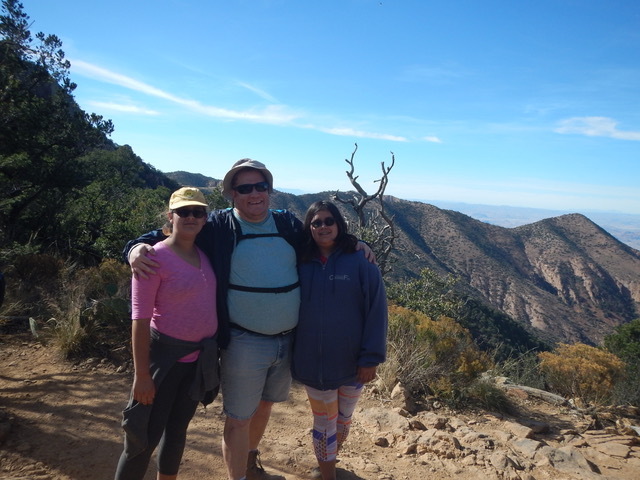 So we walked up to the start of the Emory Peak Summit Trail and back. We were racing the sunset behind the mountains, so we had to skip the summit until next time. It was almost the same distance, so we are green lit for next time! Maybe we will do a sleep over out on the trail? That was it for that day, just up and back, at ten miles, including all the wandering around at the base. We had a fun time. We could have done a lot more and Grace was bummed we could not hit the summit as well but it would have been too dark on the trip down. And without proper shoes, that would have been asking for a missed step and possible injury so she agreed only if we came back next year. Not a bad trail, it was well kept up and had good cover from the sun most of the time. Click here PDF trail map for Big Bend National Park. 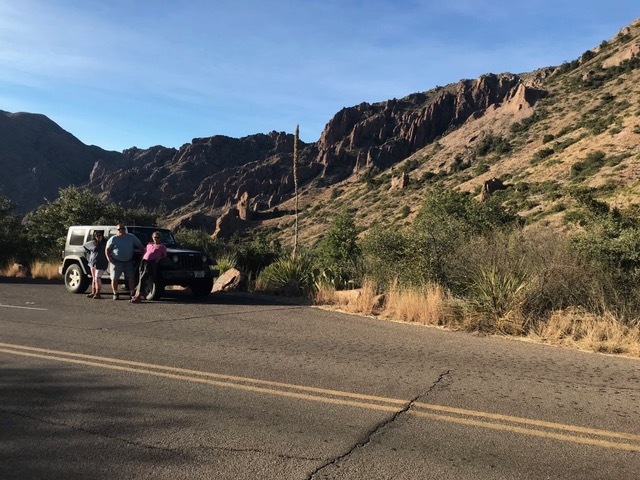 For our last hike in Big Bend, we took to the Window Trail. It starts off near the same ranger station from the day before. This was an odd hike as most of them we take we hike up the mountain, then down. This one was down and then on back up. Having it be a distance we could handle, about six miles round-trip, we took our time and took it all in. We stopped to enjoy as many different photo opportunities we could as we knew we were heading out tomorrow. We loved our time there and we will be back for sure!